Kathy Lynskey purchased her first vineyard in Marlborough in 1989 when the wine industry was still in its infancy. She grew up in Marlborough on a sheep farm originally established by her great grandfather. Already a keen gardner and lover of cellared wines, Kathy set about her new venture as a contract grape grower with enthusiasm and passion. 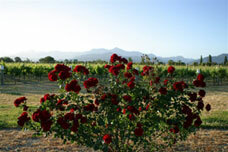 A natural progression to winemaking followed in 1998 with the purchase of a different block of land on Godfrey Road. Here Kathy planted 6 grape varieties and begun producing limited amounts of handcrafted wines each year. Since then, Kathy and her Californian born partner Kent Casto, who has 20 years experience in the USA hospitality industry, have worked hard to earn an enviable reputation for producing a select portfolio of single varietal, single vineyard and reseve wines each year. Their wines are intended to improve with bottle aging and all varieties produced have consistently won prestigious international and national awards.